Cathy Dark has led thousands of dancers through countless dance routines. From two-stepping to tango and everything in between, the senior instructor teaches a variety of dance classes to OSU students, staff and faculty through the college’s Physical Activity Program (PAC). When she first came to OSU in 1990, there were four classes being offered in social dance. Today, there are more than 20 different types of dance classes to choose from. No matter what time of day, you’re likely to find the dance studios in the Women’s Building filled with men and women swinging, waltzing and shimmying. Cathy says that an average of 900 students enroll in the PAC dance classes each term. 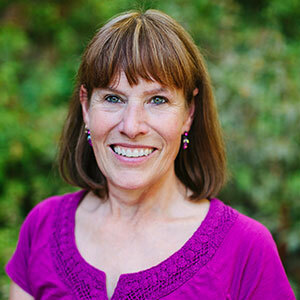 Many have met their spouse in one of her classes and Cathy has even taught dance to the child of one such couple. After taking a dance class, she receives a range of feedback from the students. 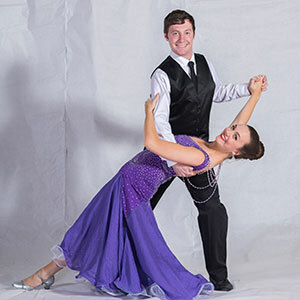 “I’ve heard students say it was the best class they’d ever taken in college, that it will help them throughout life, that they gained confidence through ballroom dancing and that they found a community through dancing,” she says. Cathy has enjoyed dancing since she fell in love with the sport in the sixth grade. She says that she was always the last kid to be picked for sports teams and didn’t have interest in them. When her school started a square dancing unit as part of its physical education curriculum, she found herself suddenly enjoying something that she also happened to be pretty good at. Her hometown’s school district in Spokane, Wash., offers an extracurricular dance program called Silver Spurs, known for traditional square dancing. Cathy got involved with the group throughout high school, performing ballroom and international routines. She was even able to tour Europe with the group. When she was working on her undergraduate degree in home economics at Central Washington University, Cathy saw a performance by University of Oregon’s dance ensemble at the world’s fair. She was intrigued. After she finished her undergraduate degree, she worked as a waitress for a few years while teaching dance classes in the evenings. When she turned 30, she told her herself it was time to get serious. Her choices were to get a master’s degree in dance or work in informational technology and continue dance as a hobby. She went with the first option, attending the Laban Centre at Goldsmiths College, University of London and earning her master’s in dance anthropology. When a job opened at Oregon State University in 1990 to teach ballroom dancing, Cathy jumped on it and has been here ever since. At the beginning of her career at OSU, Cathy created the Cool Shoes dance team. Students from diverse majors make up the group, brought together with a shared love for dancing. The group is well known in the community and performs an annual spring concert. This year’s concert will be held May 19 and 20 at Corvallis High School. Tickets can be purchased at the PAC office, located in 123 Langton Hall. For more information, people can call 541-737-5929. Each year, Cathy works tirelessly preparing for the concert. For many years, she channeled her home economics background and sewed the costumes for a dozen different concert sets. In recent years, she’s been able to fundraise to purchase ballroom gowns for the show. The group has also toured Oregon and has traveled to San Diego and Seattle to perform at Shape America Dance’s annual conference. They also toured Anaheim, Calif., last year, performing at Disneyland and four different schools in the area. These days, dancing is Cathy’s lifestyle. Cathy says that different styles of dance cycle in and out of popularity with the times. One thing remains the same throughout the times – people just want to get up and dance. 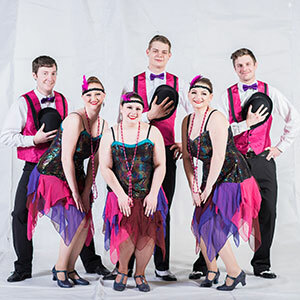 When they’re ready, Cathy and the other dance instructors in the college – Marc Green, Dan Feinberg, Mark Baker and Andrew Blackburne ­– will be there to lead them through the beats.